A baby's skin is thinner and delicate than that of adults and more vulnerable to outside influences too. 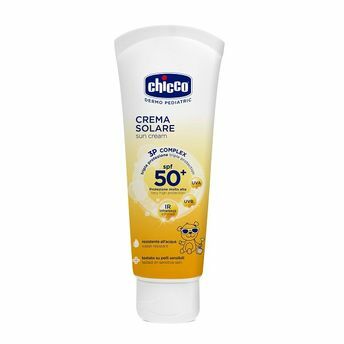 The Chicco Sun Cream is a high protection sun cream that not only protects the baby's skin from the harsh effects of UVA, UVB and infrared rays but also nourishes their tender skin. It is specifically formulated for delicate and sensitive skin of babies. Explore the entire range of Face Sunscreen available on Nykaa. Shop more Chicco products here.You can browse through the complete world of Chicco Face Sunscreen .